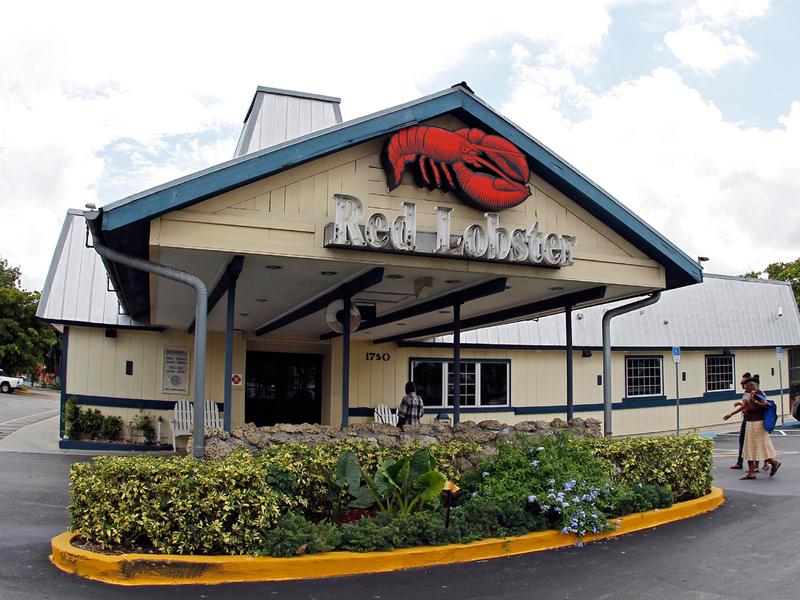 NEW YORK Darden Restaurants' (DRI) third-quarter net income dropped 18 percent, as it dealt with soft sales at Red Lobster. The Orlando, Florida-based company says sales at its Olive Garden, Red Lobster and LongHorn Steakhouse restaurants open at least a year fell a combined 4.6 percent. Darden Restaurants Inc. has been struggling to make its brands relevant again as diners increasingly head to chains like Chipotle and Panera, where they feel they're getting restaurant-quality food without paying as much. Darden said Friday that it earned $134.4 million, or $1.02 per share, for the three months ended Feb. 24. That's down from $164.1 million, or $1.25 per share, a year earlier. Analysts expected $1.01 per share. Revenue rose 5 percent to $2.26 billion from $2.16 billion, meeting Wall Street's view. The company reaffirmed its fiscal 2013 earnings forecast.